Aplia Econ Blog: News for Economics Students: Who Wants to Be a Harvard Grad? It's getting tougher and tougher to get into Harvard. The admissions rate—that is, the fraction of applicants who are accepted—has been declining for decades. And you don't need an 800 on your math SATs to figure out why: the number of spots at Harvard has remained roughly the same, while the number of applicants has soared. But why has the number of applicants soared? And should it be soaring? As with all economic questions, the answer comes down to costs and benefits. The social and economic benefits of attending Harvard are large. To spend four years among the "best of the best" (by some measures, anyway) is an exhilarating experience. And in what Robert Frank calls our "winner-take-all society," going to an elite school may be a necessary first step if you want to compete for the kind of positions (Supreme Court justice, CEO, Nobel Prize winner) that only a microscopic proportion of the human population ever obtain. But these benefits are roughly the same as they have always been: indeed, students can now choose from many more excellent colleges than they could in the past. Reading Winerip's essay, it may seem as though the costs of getting into Harvard have skyrocketed—but in fact, if one thinks about this like an economist, it quickly becomes clear that the opposite is true. The price of preparing any one element of one's résumé has in fact decreased: for example, one can now buy a textbook that is keyed to the AP test, whereas before, students didn't have access to those resources. However, total expenditure on college preparatory activities has increased dramatically. This is because, as the law of demand would predict, the lowered cost of achieving specific goals leads to more people attaining those goals—and therefore drives up the number of people applying to Harvard. Furthermore, as more people do the things that used to get you into Harvard, students have to do more and more to set themselves apart from the rest of the crowd. 1. Winerip laments the fact that many of these driven students are missing out on the fun of childhood. Is it efficient (in the economic sense of the word) for so much effort to be devoted to getting into college? What are the costs and benefits of this kind of competition? 2. Use a supply-and-demand model to illustrate what has happened in the market for college preparatory activities (tutoring, mentoring, test prep). Note that the probability of getting into Harvard is both dependent on the outcome of that market and a determinant of demand in that market. How is an equilibrium reached that takes both of those factors into consideration? 3. What effect does increased competition for elite schools have on other schools? Is it easier or harder to get into a good state school because of all the competition to get into Harvard? What about the effect on tuition, both at elite schools and other schools? Maybe using a supply-and-demand model to examine college admissions isn't the right method, but here it goes. If the demand for a Harvard education is rising year-after-year, why doesn't Harvard (being a profit-maximizing firm) just increase the number of spots available? Why is the supply for Harvard education so inelastic? I'm not saying let everyone in who can afford it, that would lower standards and lower the elitist value of a Harvard degree. But why not just let everyone in who is very qualified--top 1% of SAT takers and 4.0 students? Harvard would still be be elite because only the smart kids go there, and Harvard wouldn't mind the extra cash. Harvard can't just open up admission to all those students, because diseconomies of scale kick in very quickly: building dormitories, finding additional faculty, finding an adequate number of classrooms and so on. Their profit, while probably not completely maximized at the moment, is likely close enough that any further increase in firm size would start losing money. If Harvard has an upward-sloping, long-run marginal cost curve, then diseconomies of scale is inevitable as the demand for its product increases. Harvard could quite possibly operate on the upward-sloping portion of its long-run ATC curve if it expands admissions and profit-maximzies, but diseconomies of scale should not deter Harvard from expanding admissions. Of course, this assumes Harvard is a profit-maximizing firm that derives its profits solely from its students. It could well be that rich alumni who contribute a large chunk of the university's budget would want to keep smart students out in order to boost the value of their diplomas. But this is just wild speculation on my part. I think one of the things that makes a Harvard degree popular is it's scarcity. Another reason Ivies are popular is because their student-to-teacher ratio is low. This implies that the professors impart more of their knowledge on the students. For these two reasons, employers like Ivy League degrees because they know candidates are hard working people who have been on the cutting edge of what's going on in their field of expertise. Also, I'm willing to bet that the biggest source of Harvard's $16 billion dollar endowment isn't student tuition but research grants and donations, as William said. As far as the discussion questions go, I'm not sure if there is an empirical way of answering the first one. Who's to say that a child who has grown up in an academically rigorous home feels like he is missing out on 'the fun?' If the student is cut out for a challenging academic career, he may find the difficulty of getting in to an Ivy to be acceptable. In regards to efficiently applying his efforts to getting in to Harvard, I would say we would first need to measure the difference in acceptance probability brought on by an additional effort-unit of preparation. It's impossible to know ahead of time if he is putting forth enough effort to get in to a top school. There are too many variables to account for, like attitude of the reviewing admissions officer or some kind of silly quota on looks (my school has been ridiculed for having an overabundance of 'unattractive' people, so admissions is making an effort to make our student body 'prettier' by asking applicants to volunteer photos of themselves). Regarding question two, I think the market for college preparatory activities is not just for Harvard but for any number of elite schools. I think the low chances for getting in to such a school actually boost the demand for those services, because there is a notion that without them it will be much harder or impossible to gain acceptance. The equilibrium is reached when the consumer decides when enough prep is enough. I'd like to see some data on the effect of an additional marginal dollar on test prep on the actual scores received by students. For the third question, I suppose it depends on what drives the choices of the student--reputation, cost, employment-worthiness, sports, etc. To answer, though, I would have to say that applying to a top school doesn't preclude a student from choosing to enter a state school. There is really only a practical limit on the number of schools to which one can apply. If it were possible, students should apply to every college in the country and then make their decision. I don't think it is prudent to look at applying to higher education from a macro view but rather applying to each institution as it's own competitive market. There are more spots available, overall, to applicants than there are people applying for them. Graduate schools are different in that regard. Something like 200,000+ people apply to medical schools in the U.S. and fewer than 20,000 get in; a statistic, unsurprisingly, taken from a Kaplan MCAT test prep poster in the lobby of my dorm. I think there's an economic problem when, as Alex says, "Something like 200,000+ people apply to medical schools in the U.S. and fewer than 20,000 get in; a statistic, unsurprisingly, taken from a Kaplan MCAT test prep poster in the lobby of my dorm." The cost of health care sky rockets while qualified medical school candidates are turned down because there are not enough seats at the medical school. The last time I went to the hospital, I had to wait for about an hour to get treatment. And I'm sure, I'm not the only one who experienced sub-par hospital visits. Yet as doctor salaries and healthcare costs rise, medical schools are not admitting more students! I blame the insider-outsider effect (there might be fancier economic term for this, but it escapes me at this moment). Those who are already in the profession want to restrict entry. At the end of the day, consumers get to pay the bill for this anticompetitive behavior. William, I agree. The word that comes to my mind is oligarchy, but I know there is a better description for it. I can describe it but not absolutely define it: It's a situation where the current players in a market have created some kind of legal requirement to enter that market. 1. This question is quite hard to answer. It depends on what your personal goals are. But I believe the cost of a lost childhood is too high. As an adult you have to spend your whole life working and being responsible. A child needs time to be a child. Then again, if you work hard early, you have the benefit of great earning potential. Especially if you are going to Harvard. You can then relax in retirement. You also have to think of the cost of being too old to finally enjoy all that you have made. The benefits are obvious, money, money, money. 2. Now I see why the 50 points. What? A supply model. I don’t know if I’m supposed to draw a picture here or what. Hmmmm… Dimitria any suggestions? Well let me answer this the best I can with my mind that can hardly take one more moment of economics. No offense Tony. You are great!!! Without you I surely would have died through this class. Anyhow here it goes. I think the demand for tutors, mentors, and test prep has gone up. More students are goal oriented and want to work hard to do the best for themselves. With help available these goals have become achievable, so they are working towards it. If all of the preparation is successful, the demand to go to Harvard will be greater. Now that students have more resources at their disposal and with the lower cost of achieving specific goals lowered, equilibrium is well on its way to being met. So I hope I did that right. Probably not, but I actually did put in effort for my 50 points. 3. Increased competition means increased demand. The cost of going to an elite school is great, so allot of people are fighting for it. This of course increases the cost to go there. Now I remember somewhere back in our studies, that when demand rises, costs rise. As hard as I looked I could not find this information to reflect back upon it properly. Other schools I feel suffer because of the competition for elite schools. These schools may be good school, but since so many people are trying to go to “elite” schools, these schools lose earning potential. These schools I believe also have to keep the costs of tuition low to attract students to their schools. Where elite schools take advantage of this opportunity and increase costs. We always want what we can’t have!! Whew!! I hope this is right cause I could sure use the 50 points. And Dimitria, I’m just giving you a hard time because of your comment to me. I was just playin with ya. It was actually nice to see someone who really got this stuff!! 1.Entering the working world early will of course pay off later in people’s lives. This is because you save up money and earn money for your future. Childhood is definitely a priceless situation. It is not something that anyone can come back to. If you’re the kind of person who is a workaholic and just wants a future with less financial worries then it shouldn’t be a problem to work young. An option would be to balance out your life. 2. The demand for Harvard is large but they don’t just let people in. If Harvard just let people in then they would lose their widespread reputation for being who they were. Demand for them would just be fluctuating and it wouldn’t really matter. An equilibrium is reached by getting supply and demand to reach a point where there is not too much of one or the other. Keeping their reputation shown by demand and having a limited but never lost supply for students to enter. 3. Increased competitions for elite schools effect other schools because elite schools seem to be demanded. It really all depends on what the student is looking for. I think it’s easier to get into a good state school. Many have a desire to get into Harvard because it is a well known school. To me, it’s all education; I guess people just want to get the best which is a good mindset. Tuition is definitely an issue for many. Elite schools would definitely be a financial issue since they are high standard schools. Comparing them to other schools makes other schools not as highly known. 1. I dont think that it is efficient for so much effort to be devoted to get into college since i believe that everyone must have the opportunity to learn without struggking to earn this education..And i do believe that students are missing out the fun of childhood sinc ethose are the years where one should have fun in order to prepare oneself for the stress of life int he future!!! 2. The demand for tutors, mentors, and test prep increased because more students want to get into harvard and achieve their goals in life and want to work harder to benifit themselves as much as they can. If help is provided, these goals students can work toward their goals and chieve their aim in life. If all of the preparation is successful, the demand to go to Harvard will increase greatly. Now that students have more resources at their disposal and with the lower cost of achieving specific goals lowered, equilibrium is well on its way to being conquered. 3. Increased competitions for elite schools effect other schools because elite schools seem to be demanded. I think it is easier to get into a good state because of all the competition to get into Harvard. I think the tuition will increase to both since if they cannot get into harvard then they have to go into an ellite and other schools which means that schools would think that they would gain more if they higher the tuition. i really do need the 50 if not a 100!!!!!!!!!!!!!!! Sometimes lack of a proper childhood can be detrimental to a person. The famous Leopold-Loeb case was centered on the super privilliged lives of 2 teenage boys on trial for murder. Those 2 didn't have the 'normal' child hood most of us have. The SRAS curve of education has shifted to the right faster than the AD has, so the price of education has actually fallen. This has increased the amount of people attaining higher SAT scores, AP scores, etc., and caused them to be more extreme as the seats at Harvard are being rationed with higher expectations. I don't think price is the main rationing device used at Harvard, they've always have been expensive. I think as more and more people get rejected from elite schools its going to cause the attendances at others to rise causing tuition prices to increase. that there is an extent to be reached and that kids need to be kids. 2. Use a supply-and-demand model to illustrate what has happened in the market for college preparatory activities (tutoring, mentoring, test prep). Note that the probability of getting into Harvard is both dependent on the outcome of that market and a determinant of demand in that market. How is an equilibrium reached that takes both of those factors into consideration? The demand has increased in past years for prepatory activities as the applicants to college has increased and the competition has intensified. I think an equilibrium will be reached when an acceptable number of applicants are succeeding in school and on tests as a result of an understandable amount of prepatory time. Less demand will result if there is a small probability of getting accepted into Harvard. 3. What effect does increased competition for elite schools have on other schools? Is it easier or harder to get into a good state school because of all the competition to get into Harvard? What about the effect on tuition, both at elite schools and other schools? The competition to get into Harvard only intensifies the competition of state schools. The applicants rejected from Harvard will then look to apply at other schools. These schools then see an increased demand for their school and respnd by increasing tuition. 1. I think it is not efficient for so much effort to be devoted to getting into college. It is important for students to strive to go to a good college but do not make it everything. There are both costs and benefits to this kind of competition. The cost could mean giving up a “normal” childhood but in the long run you would end up this a good education from a great school. Elite schools who participate in this kind of competition will have the “smart” kids and what they assume is the best of the best. 2. The market for college preparatory activities such as: tutoring, mentoring, and test prep. has increased because there is a demand for it. More parents want their children to work and study harder. If these activities help as planned then the demand for Harvard will also increase because more students will now have a better background of what Harvard is looking for. Equilibrium is reached by taking both factors into consideration because with more resources available to students the price will fall but more people will have higher scores. 3. Increased competition for elite schools does have an effect on other schools because there is a higher demand for elite schools. This could in turn make it somewhat easier to get into a state school because of all the competition is directed towards Harvard. I think the tuition at both elite schools and other schools will increase because of increased competition. In the economic sense of the word, it seems efficient for the students to be competeing with each other to feel the sense of competition for a certain spot. It is just how America works through competition, buying and selling. However, it just seems unfair for these students to miss out the fun of having a childhood. Overworking oneself with AP classes, tutoring, and going through other requirements to get into an elite school seems like a task for an adult but it has been given to students. The cost for this competition is the lost of one’s childhood. Yet, the benefits are getting into a job that only a certain percent of the economy get into and of course the paycheck of these jobs. When the supply of college preparatory activites increases then students will have more preparation to get into Harvard. So as the supply increases, as does the demand increases for Harvard. This makes both curve shift rightward. An equilibrium will be reached by having a lesser cost to preparing for the Harvard. This lesser cost of obtaining the resources will accompany the increase of the demand for Harvard and that is how it will be in equilibrium. The increase competition for elite schools will mean that there is an increase demand for those schools. This ultimately increases the costs of going to those schools. It will probably be easier to get into state schools versus the elite schools, like Harvard. The state school’s are good schools to get into however, this is not where most students want to get into first. This is because most of the focus of students are getting into the elite schools rather than the state schools. For the elite schools the cost of tuition will increase much faster because the demand for the school is so large. Whereas the tuition of the other schools will increase but gradually since their demand is not so much. 1. Is it efficient for so much effort to be devoted to getting into college? No in my opinion it is not efficient for so much effort to be devoted to gettin into college. The costs of money, time, and effort are very high. The lost of childhood is too high a price to pay. The stress and pressure of constantly striving to achieve A's can be a burden for young adults. Constantly tring to live up to the expectations of meeting the goals placed upon a child by parents can be overwhelming. Young adults can place their health at risk, just tring to please parents. The benefits are being able to have the ability to choose any school you want to attend and get in, and of course Money. 2. As demand for tutoring, mentoring, and test prep increases, more and more tutors, mentors, and prep test will be demanded and supplied. The more students prepare the more the demand will increase. Equilibrium is reached if there is a balance between the two. 3. Increased competition will increase the demand. Students that were not able to get into Harvard will then apply to the State schools, this will lead to an increase in demand. Prices will rise in tuition at both elite and other schools. I believe that Winderip Laments make several valid points pertaining to the changes many students have made when it comes to goals and devotion in obtaining a quality education in college. Many students are realizing, based on their parents economical situations that they need to achieve higher educational goals to live economically comfortable in our today’s economy. Because of this demand of education by many students, this has caused a higher demand for a service which is college and consequentially the amount of services (admissions) has not changed. Because there is such a high demand for school and limited admission spaces available at ivy league universities such as Harvard, this has causes a shift for higher demand and limited service which causes universities to raises their tuition prices because of the demand. The demands of education by many prospect students causes colleges and universities to benefit from higher tuition, and for students that get accepted benefit from receiving quality education from a reputable university that would guarantee them a job once they graduate. The total expenditures cost for the tuition amount students have to pay just to further their educations which causes many students to have to take out student loans to be able to afford such high prices. 2. Use a supply-and-demand model to illustrate what has happened in the market for college preparatory activities (tutoring, mentoring, test prep). Note that the probability of getting into Harvard is both dependent on the outcome of that market and a determinant of demand in that market. How an equilibrium reached that takes both of those factors into consideration? Limited Supply and an increase in demand cause an economical shift. If there is a higher demand in the market, than there would be higher tuition prices. The limited space at Harvard causes a higher demand and also causes many students to get denied to attend the school because of the limited number of new students the university is able to take. The number of students that a university accepts does not change, but the demand from prospect students trying to get into these colleges increases. Equilibrium can be reached by students considering other university to attend other than Harvard. If students limit their choices to just one school, than they are decreasing their chances of furthering their education at that time. If a student considers more than one university or college that they would like to attend than a prospect student will have a better change in getting a college education. An increase in demand for elite schools will cause other schools to better their school systems by offering more variety of enriched educational programs for students. The school would have to offer a range of quality programs for students to choose from that would benefit their career potentials. I believe it is still hard to get into state schools, but not as hard as it would be to get into Harvard. The reason is that there are many students that evidently would like to go to college and many want to attend Ivy League schools, but since there are limited spaces available at those colleges, many state colleges are aware the demand will eventually come their way. So many colleges may make curriculum and school appearance changes to attract more students. Instead I feel colleges would either keep their tuition prices the same or maybe even higher them a bit because of the demand of the market and service for education. State schools want a piece of the pie too. 1. I think that it is economically efficient for kids to put so much effort into getting into college. The costs involve missing out on a lot of childhood “fun” such as playing games outside with others, spending time sitting in front of a television all day long, attending what could be very boring classes to learn how to take and pass the SAT, etc., learning to develop a structured life and organizational skills. Learning to write and speak properly, learn impeccable manners, as well as learning to dress for success. Here's a link to a college prep school for you to see what is involved. The benefits would be a structured life, organizational skills, developing the skills necessary to fit in with an elite crowd with ease. The opportunities to network with those who can help your future are endless when you “hang” with upper-crust. Hanging with the upper crust opens up the very real possibility of joining them. In other words, go to Ivy-League schools and you can almost guarantee financial success. 2. Using a supply and demand model for the market for college prep activities, wow that it a tough/scary one. Simply put as more parents want their children to attend ivy league schools, more money will be spent on helping to ensure this will happen. As more money is spent, more possibilities open up. But how is equilibrium reached taking the market and a determinant of demand in that market? I don't know...sorry - I pooped out on this one. 3. It is more difficult to get into a good state school because of the competition to get into Harvard and other Ivy League colleges. Because there are basically the same number of openings now as years ago, yet the population has exploded people have little choice but to “settle” for a good state school Because so many people are trying to get into the “good” schools, tuition has gone up for them (supply and demand). 1) The discussion question states that Winerip laments that these students are missing out on the fun of childhood. I don’t agree. These children are escaping getting into to trouble because there parents have failed to give the direction. The examples of these children that Winerip’s essay gives are children who are experiencing wonderful and filling events in their lives. One example he gives is of a child, who on summer breaks spends his time on a Schooner in Chesapeake Bay studying marine biology. I see this as a wonderful benefit that most children aren’t able to experience. So, is it efficient to put so much effort into your child to get them into college? Yes! I think that when most parents raise their children and provide them with great learning experiences so that they might excel in the world, feel that it is worth it and efficient weather their child gets into a good college, middle of the road college, or don’t go to college at all. These children have the potential to be great examples to other children and adults in society. This type of competition, in many cases, would actually be the parents in competition—not the child. At least I think so. The costs here, would be the parent’s money, time, effort, and of course lots of love that isn’t really a cost. The benefits are watching your child grow into an excellent and thriving adult—weather they go to Harvard or not. 2) Using a supply and demand model, the market for college preparatory activities (tutoring, mentoring, and test prep) would show a demand increase, which would shift the demand curve to the right. As more students (or parents of) desire to enter into Harvard, and the supply curve is at a standstill and vertical as the amount of openings are the same, the supply is far below the amount of openings demanded. So, parents use other tools like tutoring their child to increase their chances of getting accepted. The equilibrium is reached in the tutoring market where the supply and demand intersect. The tutoring market increases the demand for that child—Harvard might accept them. 3) The effect of the increased competition for elite schools has created an increased demand for non elite schools where the supply is greater and acceptance greater. However, I believe that even these schools still have a higher demand than what they are able to supply. This has opened the doors to a new market of schools in which classes are done on-line and class work is geared towards the working adult. Of course tuition will be higher for the elite and private schools as apposed to the State schools based on demand. The schools designed for working adults have also created fast track programs were working adults can obtain degrees at an accelerated rate. This type of program has increased their demand which has also increased their prices to as much as the elite schools, if not close. I think that what ever college we might attend we still have the ability to obtain excellence. Winerip states that his own focus on Harvard was a matter of not sophistication but narrowness. I agree with him. • In my opinion everyone deserves a childhood. The benefit however to this is that they will possible get a better job, and into a better college down the line. But the cost of that is childhood. I do not think that you can be all work and no play. In my opinion, there many years to be a grownup and work, but very few to be a child and careless. In this situation both the cost and the benefits are high. • The demand for all the essentials to get into Harvard are high, tutors, books, prepping materials. But the supply, the spots to get into Harvard are low. So everyone is demanding the things to get ahead, so they can be one of the few that get into Harvard when the supply is so low. • I think that it affects other school, because if people are in a high demand for one school, then other schools will want a high demand as well. They could lower their tuition, to attract students, where as the ones that are highly demanded raise theirs. It goes both ways, everyone can see it when they search for different schools, they give you the tuition rates, the number of students who applied and the number who got accepted. This is true with all schools, good or bad cheep or expensive. 1. As for children, they do need their time of fun and carelessness. Here I am today going crazy over finals and paying my bills on time. Children do not have to worry about these things while many adults do, successful or not. If a child is to be consistently working hard and studying, I see this as a benefit for their future especially when it comes to getting into college because of their head start they may be much smarter. Then again, they may over do it and become stressed (especially with pushy parents), and may also lack social skills if they take too much time away from friends or other children. 2. With lower chances of getting into Harvard or any other college that is a goal, I would see students using preparatory activities more. Using them more means a higher chance of getting into the school they are reaching for. This would show there will be a higher demand for it. And as for meeting equilibrium, I would assume it is reached when students feel they have used enough preparatory activities. 3. With higher competition to elite schools, I see this as a disadvantage to other schools. Higher demand for elite schools can affect other schools down to loosing money. In order for non-elite schools to retain more students, they may have to lower tuition fees, etc. While they do this, elite schools can increase their tuition due to high demands. Then again, students who do not get into elite schools do end up having to settle for another school. 1. I think that it is efficient, in an economic sense, for so much effort to be devoted to getting into college because of the overall outcome for a person who is diligently seeking a job that is hard to achieve without the proper teaching. The costs of such rigorous preparation for getting into a popular college like Harvard is that people lose all of that time and energy that they would spend on preparing for college that they could use for something else. There may also be monetary costs involved in preparing for college that will not be given back. 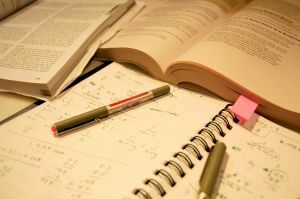 The benefits of this type of preparation for college are that a person may have a very profitable outcome if he/she works diligently on getting and and succeeds, not overdoing it. Also once a person is in the college they may find that if they finish they can get the type of job that they want, which would be hard to achieve otherwise. They would also be enriched with the experience of just being in the environment of a college and the experience they will gain. 2. As the article says, When the supply of seats at a school like Harvard remains constant, the demand will just keep getting higher and higher. This is because there are more people who are becoming interested in studying law and other various studies that Harvard provides but Harvard will not open any additional room in the classes or living areas. An equilibrium is reached that depends on the outcome of the market and the demand for the market of college preparatory activities when the outcome allows more people to take advantage of these activities and the demand for them falls because there are more opportunities for the excess in demand to be able to achieve what they are seeking. 3. The effect that increased competition of elite schools has on other schools is that it allows the other schools to have less competition to get into. This is because more people are trying to get into the elite schools and less are trying to get into the other schools. Those who "settle" on a lesser university will be able to get in easier. This would make it easier to get into a good state school (other than an elite school) again, because less people are applying there and they allow more people to get in. I think that the competition for elite schools would make the tuition for elite schools go up relative to the tuition for other schools because they are so limited and people will pay as much as it costs to go there. Other schools who are funded by the state will charge less than will elite schools who compete with each other. 1) Why is it that Harvard has not increased the number of spots when all the time we hear from their admissions staff "we have far more qualified applicants than we can admit"? 2) Decreasing returns does not begin to answer #1 because Harvard is not a profit-maximizing firm, but constantly positions itself as a non-profit dedicated to improving social welfare by educating the next generation of leaders. 3) More importantly, the number of spots has remained constant while the endowment has gone from $4 billion in 1990 to $30 billion in 2007. Even if we grant Harvard a wildly high inflation percentage of 5% for that period (the GDP deflator averaged far lower), we have the real endowment increasing by a factor of 3. So, Harvard clearly has more than sufficient resources to allow more students. 4) The reason for the greater number of applicants has to do with globalization. The idea of going to school "all the way" to the East Coast for a bright Californian was an "off the beaten path" choice back in 1980. With cheaper airfares, cheaper telecommunications, and the Internet, more students feel that going far away to Harvard is a doable option. This holds true, perhaps more, for foreign students applying to Harvard. Lastly, the increase in overall wealth and access to scholarships make going to Harvard a reality for many more people now than was the case a few decades ago. I think the real answer to Harvard restricting supply has to do with maintaining their "prestige" -- not a great objective to think about for all alumni willing to donate to Harvard. It's not that Harvard won't have access to the best students or lacks resources to take on more students. It's purely about prestige, and it's a pity. Assuming that the students who choose to pursue such a prestigious education are doing it on their own free will, many students are devoting themselves 100%, this complete devotion does have a pay-off of the completion of high goals. In terms of efficiency, these students are producing at their maximum output. They are paying all costs of a childhood, for the benefits of an exemplary education. With an increasing number of applicants to Harvard, the demand for the college preparatory activities significantly increase. However, with the increase in applicants, the supply of open spots still remains at the same level. The limited spots are only increasing the demand by applicants. By increasing the number of open spots or decreasing the umber of applicants that is a way to reach equilibrium. The increase competition in the elite schools has also increased the demand for the other schools. Since a record of going to an elite school can mean a career such as a Supreme Court justice or CEO, yet this is only a small fraction of the society who reaches this plateau. Much of the other population is in demand for other schools who also give the same level education, at a lower price. The benefit of the same education is at a cost of the loss of prestige. 1. Winerip laments the fact that many of these driven students are missing out on the fun of childhood. Is it efficient (in the economic sense of the word) for so much effort to be devoted to getting into college? What are the costs and benefits of this kind of competition? I beleive every one desrevs to have a childhood growing up. Both cost and benefits are high in this situation. The benefit to having a great education, ultimately leads to a great career in the future. The downfall how ever is missing out on the childhood I beleive no one should have to miss. You only have the opportunity to be kid once. 2. Use a supply-and-demand model to illustrate what has happened in the market for college preparatory activities (tutoring, mentoring, test prep). Note that the probability of getting into Harvard is both dependent on the outcome of that market and a determinant of demand in that market. How is an equilibrium reached that takes both of those factors into consideration? The demand to be accepted in to an elite shool like Harvard are very high. The supply for acceptance to harvard is very low. This is why many people are demanding for the prepping for test and tutorials so that they have the higher chance of getting accepted while the supply is low. 3. What effect does increased competition for elite schools have on other schools? Is it easier or harder to get into a good state school because of all the competition to get into Harvard? What about the effect on tuition, both at elite schools and other schools? I beleive the other schools don't have to be affected. Instead of raising the cost of tuition to keep up with the other elite schools, they should lower the cost of tuition and fees to attract students to apply for their school. But I do beleive that it is just as hard to be accepted to in to harvard say compared to a school like UCLA, there is always competition where ever. 1.I think everyone should have a childhood its life but many parents choose to not let their childeren have one. Parents push their children very hard to suceed in the long run by getting in to harvard. The pay off of working hard is a great career and lots of money in the end but a childhood is lost forever. 2.The demand to get into havard are high and the supply is not very high. There are a limtied spot to get into to harvard plus it's high competivitve. Students must have basically prep for harvard their entire life with AP classes tutors, books and other essentials. So supply is low demand is high. 3.I think its much easier to get into a state school than harvard not because of the competion of getting into harvard but because the supply is limited to get into harvard there may be 300 spotst to get into harvard and 5000 spots to get into a state school. The tutiton is much cheaper at a state school than a elite school and if the student lives in the state also. 1) Regarding the first discussion question, I do not think it is the same for each person. If a student enjoys striving to be the best and studying hard, it might very well be worth it for the student to put in the effort to attend a prestigious school. The costs and benefits are that students push each other and put more effort knowing that the person right beside them is trying harder. The students who put in the effort early, may be rewarded with a great job later in life and it will definitely be worth it. Although there may be some students who burn out and fail to reach a good school, that is a personal choice whether or not it is worth it. 2) The demand for a school like Harvard is extremely high. Since the supply of classroom seats/dorms are limited, there will obviously be a shortage. Harvard therefore only wants to fill the spots with the best students they can find. 3) Increased competition from elite schools will help out the schools that are the 2nd or 3rd choices for students. If a student is rejected from elite school, they will not simply give up on going to college, instead they will choose another college that was their 2nd choice. State colleges will benefit from the increased competition because they are often the 2nd or 3rd choice. This will actually make getting into a state school much harder because many students choose state schools if they 1st choice is denied. Tuition will also go up at elite schools because they demand is so high, students are willing to pay it. If we are talking about efficiency, I suppose that our current lifestyle is efficient. As soon as a student graduates from high school, he/she has a responsibility to complete a college degree. It has become sort of a common sense thing to get a degree. Since many of the rest are doing it, we have to play along in order to get a decent job. Though, we might miss out on the childhood, we might have a better future with better education. We just can’t help it because it is getting more and more demanding to get a good job. As jobs get more and more high-tech, I believe that we will increase our demand for education programs that will prepare us to get into a good college. I think that the economy will close in to an equilibrium when the average American has a degree, or probably masters. And if the probability of getting into Harvard decreases even more because there are even more students with the qualification, the economy won’t reach the equilibrium just yet. I believe that the increased competition for elite schools will reduce the competition into other schools too. It’s simply because those who aren’t accepted into elite schools will then choose to enter the less elite ones only if they don’t have a second choice. I predict that both tuition fees at elite and non elite schools will increase. I think that I may agree with the article many kids to spend a lot of their time in their school studies which i think is a good thing. Although, it might take some time away from sometimes having some time. Harvard demand for their education is rising. I think with more kids applying to private schools as harvard it is easier to attend state schools.Their might be more availabilities for others. I do think that its a good thing if a lot of effort is devoted to getting into college. Costs include time and preparation, tutors,and tuition. The benefits include those jobs mentioned that only a small amount of workers attain, higher pay, more job security, and a diploma from a college that is difficult to be accepted. The benefits outway the costs. As compared to previous year, the demand for tutoring and college prep activities have increased. The suppliers would increase their price since people are willing to pay more money. It will reach equilibrium when the supply of tutors and mentoring increase and the price levels out. However, the amount demanded will continue to increase as colleges get raise their standards to get accepted. Even though their is increased competition to get into an elite school, it was stated the the amount available has not increased. The students who don't get accepted into Harvard will then choose other schools to attend. I think it is easier to get into a good state school than it is to get into Harvard, but I dont think it is because of the competition to get into Harvard. It is because of the demand and the requirements to get into those schools. Since the demand at an elite school would be higher, then the price of tuition would be higher. The less demanding a school is the lower the tuition cost. I feel that every child is different. Sure many of you think that childhood is an important time filled with careless antics and no worries. But what about those children who grow up underpriveledged and live in poverty stricken neighborhoods. In many cases striving to go to the best colleges is all they have to look forward too. And in many cases is the only way out of their surroundings. The benefits of a child being pushed are going to be greater than those who live a carefree life. They will strive for more than the average sudent and go further in the buisiness realm. An equilibrium would be hard to reach in such a situation. Students who took preparatory classes should stil have first crack at getting into the elite schools. If a students does not take such courses it simply will show that equilibrium will be met by lowering standards on admissions and elite school will turn into glorified community colleges where anyone who can pay the tuition can come on in and learn. Elite schools educations will become less elite. With increased competition comes increased demand. State school will then see a rise in admissions request making it harder to attend the normally easier to attend colleges. Tuitions at elite schools will stay the same since the demand will always be there and the price ou pay reflects the quality of the education one receives. Meanwhile tuitions at the state school will also rise due to the fact that the demand has now risen therefore students will be willing to pay higher cost to attend.